The term “FAT FREE” is misleading because excess carbohydrates in your diet end up as excess body fat. Serving Size– Don’t load up dressing on your salad. Measure out a serving size with a tablespoon to know exactly how many calories you are taking in. Most people are shocked when they realize how small”1 serving size” is. Ingredients– Dont be mislead by labels and disclaimers such as “reduced-fat” when choosing a dressing. These labels are not regulated by the FDA and the marketing gurus will say anything to promote their brands and products. Look for hidden ingredients such as high fructose corn syrup, evaporated cane juice, brown rice syrup, and fructose the are artificial alternatives to sugars. As a general rule stay away from dressings with a long list of ingredients or additives. Balsamic Vinegar– 2 tbsp (which is all you need) of balsamic vinegar has 50 calories. Balsamic vinegar contains polyphenols, antioxidants that can protect the body from heart disease and cancer and has enzymes that break protein down into smaller amino acids that can be more easily absorbed by the body. Extra Virgin Olive Oil– A moderate serving of olive oil has the healthy monounsaturated fats that can lower your LDL (bad cholesterol) and has been proven to help promote healthy skin and hair. Alternative Oils- Alternative oils such as coconut, macadamia, or walnut oil will provide a healthy source of Omega 3’s and give you a variety from traditional olive oil. Make your own– If you get tired of the balsamic vinegar and oil combo try this. Ranch- One serving of ranch dressing contains approximately 140 calories and 14 grams (mostly saturated) of fat. Of the 140 calories, 130 are from fat. Don’t be deceived by the “low-fat” or “light” alternatives as they boast more unhealthy additives and sugars that are equally as bad. Blue Cheese-Blue cheese dressing is a quick way to ruin a healthy salad. The average brand contains 152 calories and 15.6 grams of fat making blue cheese a diet blunder. Italian- With more than 14 grams of fat per serving and a hefty load of processed ingredients, Italian can be a real detriment to your diet. Thousand Island– Another cream-based, fat-laden topping, Thousand Island dressing will cost you 140 calories and 14 grams of fat and a long list of unknown ingredients. French-French dressing is one of the worst salad additives around. Though it is technically a “vinaigrette”, French dressing still has an overwhelming 14.2 grams of fat and unnecessary sugars. Caeser- The average brand contains more than 165 calories and 18 grams of fat. Even some of the “light” brands still pack more than 12 grams of fat per two tablespoons. Flaxseed- 1/2 tbsp of flaxseed gives you your complete recommended daily amount of omega 3’s and can help lower LDL (bad cholesterol) levels. Flaxseed will help regulate digestion and contains 3 grams of fiber/serving. Eggs- Eggs are a great source of protein that are loaded with vitamins, including vitamin A, potassium, and many B vitamins like folic acid, choline and biotin. Very few foods share the same diverse nutrient makeup available in a single egg. Walnuts- A handful of walnuts contains almost twice as much antioxidants as an equivalent amount of any other commonly consumed nut. Walnuts are a great source of protein, fiber, and healthy fats. Black Beans- Black beans are very high in fiber, folate, protein, and antioxidants, along with numerous other vitamins and minerals. Edamame-These legumes pack as much protein as most animal products, without the unwanted saturated fat. Being loaded with fiber makes them filling, refreshing, and great a alternative source of protein too add in your diet. Artichokes- The artichoke is a low-calorie, nutrient-rich vegetable that is a great natural source of antioxidants. According to the USDA, one medium artichoke is an excellent source of fiber and vitamin C, and a good source of folate and magnesium. Create your salad base with some sort of healthy/dark green leaf such as spinach, kale, arugula, or mixed greens. Add some of the ingredients listed above with some lean protein and top it off with a healthy dressing to create a great meal that will provide essential vitamins and minerals. Incorporating meals like these are crucial to a well balanced diet and will help contribute to a healthy lifestyle. Brussels sprouts are part of the cruciferous vegetable family that are low in fat and calories but high in protein. (accounting for more than a quarter of their calories) A great substitute for broccoli, 1/2 cup of brussels sprouts contains 80% of the recommended daily amount of vitamin C.
High in fiber and beta-carotene. Loaded with vitamin A & C, folate, potassium, and calcium. Loaded with phytochemicals and antioxidants that control inflammation and can help combat cancer. Have cholesterol lowering benefits when steamed. Brussels sprouts are an outstanding source of glucosinolates which can help detoxify the body. Similar to brussels sprouts, kale is a power vegetable and member of the collared greens family that is unusually high in fiber (contains 20% of the RDA of dietary fiber) which helps to keep you feeling full. A great substitute for romaine or iceberg lettuce. Excellent source of nutrients such as vitamin A,C, B6, calcium, folate, manganese, and potassium. One of the best sources of beta-carotene which help aid in the battle against cancer and heart disease. Promotes regular digestion, prevents constipation, lowers blood sugar, and curbs overeating. One cup of kale provides about 10% of the RDA of omega-3 fatty acids. Like other greens and cruciferous vegetables, kale is loaded with antioxidants that help regulate the body’s inflammatory process. Considered the #1 nut for heart health, walnuts contain almost twice as many antioxidants as an equivalent amount of any other commonly consumed nut. Walnuts are antioxidant dense and can lower cholesterol, reduce oxidative stress, and decrease unhealthy inflammation. Can make for a great snack, oatmeal addition, and salad topping. Contain plenty of high-quality proteins that can be used as a substitute for meat. Loaded with vitamins and minerals; dietary fiber; and they are dairy and gluten-free. Walnuts have been linked to decreased risk of heart disease, certain kinds of cancer, gallstones, type 2 diabetes, and other health problems. Rich in fiber, B vitamins, magnesium, and vitamin E.
Loaded with healthy fats (monounsaturated and polyunsaturated fats) and omega 3 fatty acids that have been shown to lower bad cholesterol(LDL). Much like walnuts, almond butter’s essential benefit comes from its heart-healthy properties. Considered a healthier version of peanut butter, almond butter is a great vegetable and fruit spread because of it is high quality fats, protein content, and rich taste. Rich in monounsaturated fats which reduce levels of cholesterol, decrease the risk of heart ailments, and lower blood pressure. High in vitamin E and flavonoids(essential antioxidants) that combat inflammation and disease. A great source of fiber and loaded with potassium, magnesium, iron, calcium and phosphorus. Almond butter is less commercially available than peanut butter. Because of this fact, some peanut butter manufacturers add unhealthy ingredients such as excessive salt, sugar, and saturated fats to the product whereas almond butter is generally more natural and less artificially manipulated. This green-skinned, pear-shaped fruit is most commonly used as the main ingredient in guacamole. While it tastes good, most people dont know that it provides nearly 20 essential nutrients, including fiber, potassium, vitamin E, B-vitamins and folic acid. Avocados have become increasingly popular and make great additions as a sandwich spread or salad ingredient. High in healthy fats and antioxidants which help combat heart disease. Avocado contains 30% more potassium than bananas which help regulate blood pressure and prevents circulatory diseases. Avocados have numerous phytonutrients which help prevent cancer and also repair damaged cells. It is a powerhouse of vitamin E which protects us from free radicals. Avocados are very effective in reducing the risk of oral cancer and preventing bad breath. Not all oatmeal is created equal. Generally, oatmeal is considered a healthy source of whole grains and complex carbohydrates. However, current products on the market have added sugars, artificial preservatives, and unnecessary ingredients that can cancel out the benefits produced by natural oats. Steel-cut oats are relatively unrefined and the most pure and healthy form of oats. Steel-cut oats take longer to digest than instant oatmeal or rolled oats, which in turn, helps to stabilize blood sugar. A good source of complex carbohydrates, protein, and soluble fiber, which works to lower cholesterol. Rich in B-vitamins, calcium, protein and fiber. Steel-cut oats are low in sodium and unsaturated fat that are a great alternative to typical cereals for a breakfast option. Hemp milk is a blend of hemp seeds and water with a creamy texture and a subtle, nutty taste, that is a great alternative to standard cow’s milk. People have started to look for alternatives to cows milk after unregulated hormone claims and support showing cow’s milk to be tough on your digestive system. Much like almond milk, hemp milk is a great alternative that is high in protein and low in sugar. Hemp milk is easy to digest and has an essential fatty acid balance that is ideal for the human body. Hemp milk is rich in protein and contains omega-3 and omega-6 fatty acids, vitamins A, E, B-12 and folic acid, and is rich in magnesium, potassium, iron and magnesium. Hemp milk can strengthen the immune system as well as promote a healthy heart and skin. As seen in the table above, goat meat is lower in calories, total fat, saturated fat, and cholesterol than traditional meats. It is a great source of high quality protein that provides greater health benefits in comparison to traditional meats. Lean protein,s such as goat meat, are good for weight control because protein is a hunger-suppressing nutrient. Goat meat provides only 82 mg sodium per 100-g serving, which is relatively small compared to other proteins such as lunch meats and dairy. Goat meat is a low-fat alternative to many meat-based sources of protein, such as fatty steaks, burgers, or dark-meat poultry with the skin, which are high in saturated fat. High in essential nutrients such as iron, potassium, and vitamin B-12. Moderation is key here but, studies have shown that small amounts of dark chocolate can provide substantial benefits for the human body. The main benefits come from the abundance of antioxidants in cocoa beans which are filled with natural plant nutrients. Dark chocolate makes for an excellent post-meal dessert. Loaded with antioxidants which help combat numerous diseases discussed in similar foods above. 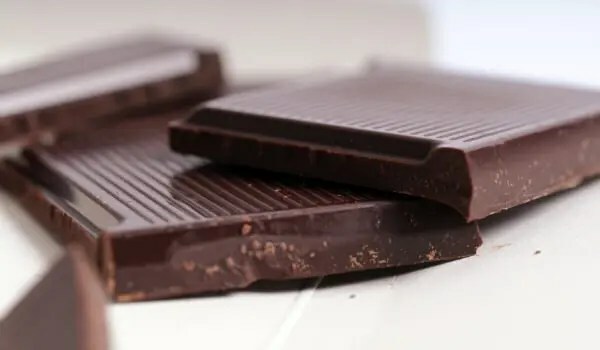 Dark chocolate has been shown to reduce blood pressure, improve blood flow, and has mild anti-clotting effects that may help prevent plaque formation in arteries. Unlike most sweets and desserts, dark chocolate has a low glycemic index and therefore doesn’t spike your blood sugar. Dark chocolate helps the brain to release endorphins, which help in mood elevation and also remove headaches. Sprouted grain bread or “flourless” bread is made with live grains and provides more protein, vitamins, and minerals than refined flours. Sprouted grain bread can be used as a substitute for typical white or wheat breads. Besides increasing their protein and vitamins, germinated sprouts contribute carbohydrates that are easier for you to digest because their starches have already been broken down by enzymes. High in fiber which can help aid in your digestion and keep you feeling full. The bread is very low in saturated fat and a much better alternative than typical wheat or white breads. Sprouted grain bread is made with whole lentils and soybeans which means you’ll be getting a significant amount of protein and amino acids with each serving. Thanks for reading. I am currently back in the USA trying to seek out further medical opinions for concussion rehab and treatment. Now that I am back I can be reached much easier for questions and comments.